A practical guide to CCTV Video Resolutions. 720p HD 1280 x 720 720p High Definition aka "HD-SDI"
Those of you familiar with CCTV know that the resolution of an analog camera is typically listed as "TV lines". These "lines" refer to the horizontal resolution of the image; therefore a 700 line camera has better resolution than a 420 line camera. Digital video recorders, however, list their resolution according to the terms in the chart above. DVRs that are 'Full D1' can record all the detail captured by the highest resolution analog cameras. One of the most common questions we get is "What resolution camera should I buy?" Of course, it depends. Each camera in your application may require a different resolution. It comes down to how much detail you want, what platform (if any) you already have in place, and how much is your budget. Examples of applications where you can easily justify spending more for higher resolution are recording monetary transactions, desiring facial recognition, or reading license plates. It is important to consider what platform your camera will be running on as that may limit your resolution options. To summarize CCTV platforms: Analog cameras transmit over coax and can capture up to 700 lines (approximately full D1). HD-SDI cameras capture higher resolution images then encode / decode the data to run over coax. IP or network cameras transmit over CAT5 (just like computers). You can run analog cameras on a CAT5 network, or IP megapixel cameras over coax, but it would require additional hardware and added complexity so it's not recommended. We do not often recommend HD-SDI cameras because there are shortcomings with the current technology (a topic for another discussion). High resolution megapixel cameras are fantastic and are becoming more affordable. But don't expect results like you see in the "CSI" TV shows - that's just fiction. And keep in mind that the higher the resolution of the cameras, the more bandwidth and hard drive space you will need to transfer and store it. In most cases, cameras over 2MP are usually not worth the extra cost (at today's prices), especially considering the added costs in required bandwidth and hard drive storage. It's useful to know that the human eye is more sensitive to horizontal resolution than vertical resolution. So for example, to the human eye, there is not much perceived difference between 2CIF and 4CIF. The other issue to know about the human eye has to do with frame rate. The human eye can perceive about 15 separate visual images per second (frame rate). So any frame rate higher than 15 frames per second (fps) is perceived as smooth motion. In CCTV the maximum frame rate available per device is typically 30fps and that is considered 'real time'. But anything over 15 fps is going to look pretty good. Some devices will list different resolutions at different frame rates. So for example, an IP camera might document its resolution as "3MP at 20fps" or "2MP at 30fps". We would recommend using the "3MP at 20fps" setting in this case. 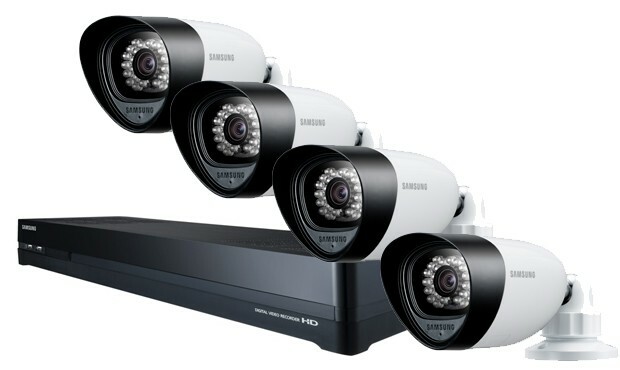 In a CCTV application you will have many cameras with different resolutions but usually only one recording device. So make sure that the recording equipment you choose has at least the resolution capability of your highest resolution camera. Also, make sure it has enough hard drive space to record all of your cameras for a reasonable period of time given your application. Image resolution is most crucial when something happens and you need to playback that video. If you need to zoom in on a piece of video, the quality of that zoomed in image depends on the recorded resolution. So configure each channel of the DVR separately to record at the highest resolution that matches the camera.